TruexCullins is an award-winning architecture and interior design firm located on the Lake Champlain waterfront in downtown Burlington, VT. For the past 50 years, TruexCullins has built a reputation for design excellence, with local, national and international projects in a variety of markets. Our creative team consists of 30 talented and dedicated people who are passionate about design and enjoy working together. We offer competitive compensation with full benefits including health insurance, 401k retirement plans, profit sharing, flexible vacation and sick time, and a dog-friendly office setting. If you would like to be considered for a position with TruexCullins, please send a cover letter, resume, and work sample/portfolio in PDF form to: employment@truexcullins.com. TruexCullins is seeking a Project Architect with 5-7 years of experience to join our collaborative team. This position will offer exposure to a variety of project types, with specific opportunities in the design of commercial, educational and hospitality architectural projects. TruexCullins is seeking an Architectural Designer with 2-4 years of experience to join our collaborative design team, to work on commercial and educational projects. Qualified candidates should possess strong communication skills, creativity and motivation. Applicants should hold a Bachelor or Masters degree from an accredited institution and work well in a collaborative, team environment. Proficiency in Revit is desired. TruexCullins is seeking an Interior Designer to lead our residential interiors projects. 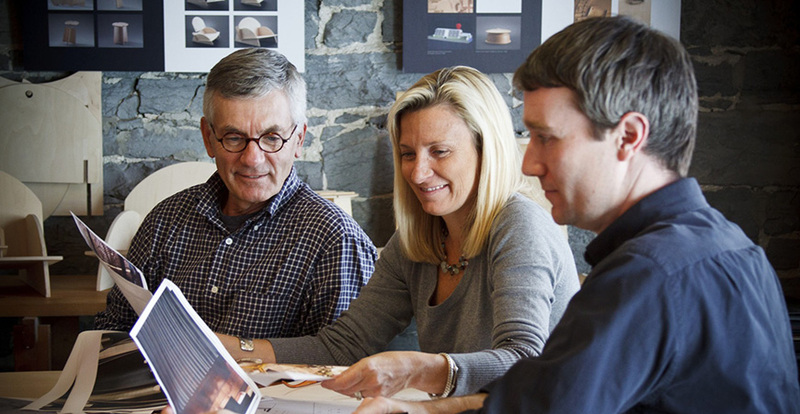 This position offers the opportunity to work independently with clients on custom designed homes primarily located in picturesque and serene settings throughout Vermont. Applicants should have demonstrated experience in all aspects of the interior design process including: programming, interior space planning, schematic design, research, selection and specifying materials and FF&E, detailing, construction documents, consultant coordination, and construction administration. Candidates should exhibit knowledge and familiarity with specifying plumbing and lighting fixtures, and experience with millwork design and detailing. At TruexCullins, we believe that fostering and nurturing new generations of designers is an important part of supporting our profession and our community. We see the internship process as a partnership where Architecture and Interior Design students receive “real world” experience and our firm benefits from a fresh exchange of ideas. We strive to offer interns broad exposure to all facets of the design process and give them an opportunity to work “hands on” along with our staff. All TruexCullins internships are paid positions. If you wish to be considered for an opening, please send a cover letter, resume, and work sample/portfolio in PDF form to: employment@truexcullins.com. Note: At this time, we do not anticipate any available openings for Architecture or Interior Design interns for Summer 2019. TruexCullins offers shadowing opportunities to area high school students who are interested in design careers. 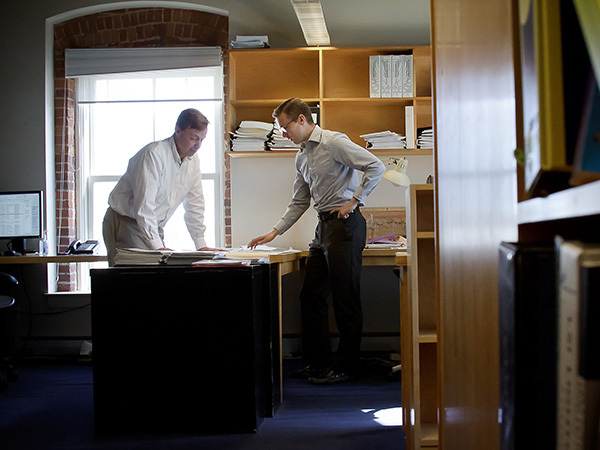 Shadowing sessions typically last a few hours, depending on the needs of the student, and offer a brief look at what it’s like to work in an architecture and interior design firm. Students, teachers, or parents interested in shadowing opportunities can send an email to info@truexcullins.com. Please include the name of the school the student currently attends, their grade level, date and time requests and other program requirements. Our ability to offer these opportunities is based on staff schedules and availability.